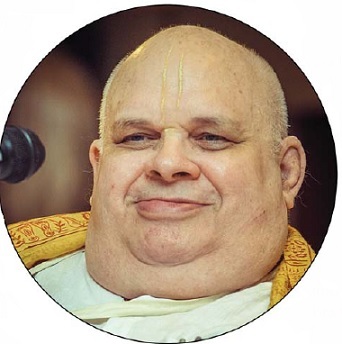 On June 7, 2015, on the auspicious occasion of the appearance day of Srila Vakresvara Pandita, in the holy land of Vrindavan, Brahmananda Prabhu, a dear disciple of Srila Prabhupada and our very dear Godbrother, departed from this world. I humbly believe that in writing a few words in glorification of Sriman Brahmananda Prabhu will contribute to my own purification. In the late summer of 1966, he joined ISKCON and soon became one of the great generals of Srila Prabhupada. He was a teacher by profession and his entire salary of $400 would be used to pay for the rent of Srila Prabhupada’s Second Avenue “Matchless Gift Centre.” Srila Prabhupada said, “Krishna has personally sent Brahmananda to help me.” In the fall of 1966, Brahmananda Prabhu became the first temple president at the first ISKCON temple at 26, Second Avenue. He did not shy away from responsibility. 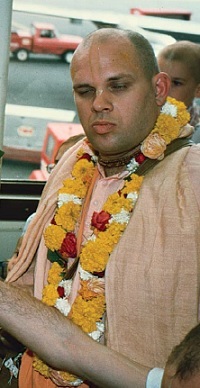 He brought the first ISKCON Deities, Madana-Mohana into ISKCON. He resigned from his job and committed himself to fulfilling Srila Prabhupada’s greatest desire – to print books. From the onset, this friendly, affectionate and loyal follower of Srila Prabhupada played a vital role in the establishment of book publishing in ISKCON. Once Brahmananda Prabhu was sent to deliver a Hare Krishna record to someone at MacMillan publishers. While sitting in the junior accountant’s room, one of the senior editors came into the room and saw Brahmananda. As he entered the room he introduced himself and they started talking. Brahmananda mentioned: “O! I have a manuscript of Bhagavadgita.” Almost instantly the editor said: “We had been looking for something like that for our catalogue of oriental philosophy. We want this immediately.” That was how in 1968, Brahmananda helped publish Srila Prabhupada’s first book in the West. He also personally funded the printing of the Teachings of Lord Caitanya after receiving an insurance payout of $5000. The third one was Krishna book, which was printed by Brahmananda Prabhu with funds provided by George Harrison. Yet another important book which Brahmananda Prabhu was responsible for printing was the Nectar of Devotion. Brahmananda Prabhu and his dear brother Gargamuni Prabhu were the founders of the successful “Spiritual Sky” business. Srila Prabhupada personally trained them in this initiative. Brahmananda Prabhu enduringly displayed his spirit of surrender and courage in undertaking the orders of his spiritual master. When no one was courageous enough to face the challenges of preaching in Pakistan, Turkey and Africa, Brahmananda prabhu fearlessly introduced Krishna consciousness in these unreceptive and hostile environments. In Turkey Brahmananda was imprisoned because they thought he was a Christian monk preaching the Bible. In 1971, Brahmananda Prabhu got into West Pakistan and was under siege for a period of time. Meanwhile Prabhupada was in total anxiety because the newspapers were carrying the news “Three Hare Krishnas were murdered in Pakistan”. 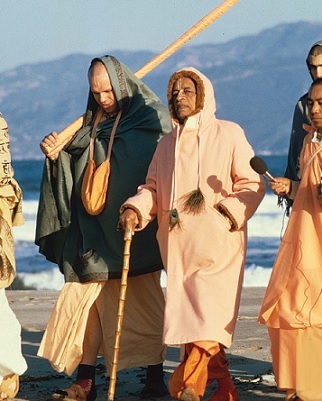 Srila Prabhupada was very upset and reflected with much sadness, “Did I send my boy to death?” When Brahmananda finally arrived in Mumbai on Rama-Navami, he immediately went to see Srila Prabhupada who became so elated that he jumped up and hugged Brahmananda, relieved at his safe return. He was Srila Prabhupada’s longest serving secretary. Most of the devotees who were secretaries did not last very long because Prabhupada was very demanding, and one had to have a certain mentality to tolerate and endure in this exacting position. This rigorous position as a secretary meant simultaneously engaging in several disparate tasks. This included visits to different places as requested by Srila Prabhupada and accompanying Prabhupada in all his engagements as a secretary. It is for this reason why Prabhupada treated him as his most beloved son. He was among Prabhupada’s most trusted, loyal and loved aide and integral in every aspect of Srila Prabhupada’s mission. The favorite topic of his talks would be Srila Prabhupada. We all witnessed this during the recent 40th Anniversary of Krishna-Balarama Mandir opening in Vrindavan. He successfully mesmerized all of us with his fond memories of Srila Prabhupada which he articulated and presented in great detail and with intense emotion. I recall his talk in Vrindavan after Prabhupada’s departure. He was presenting his talk through a choked voice, and even sobbing and crying at different moments during his lecture. He was like an orphan who had just lost his father. 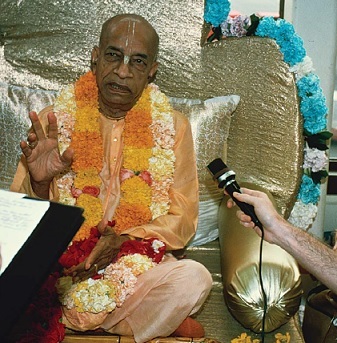 His love and affection for and relationship with Srila Prabhupada were very unique. A few years back Brahmananda Prabhu had approached Atula Krishna Prabhu who was standing in front of the deities of Krishna- Balarama. Brahmananda Prabhu asked if he could see Krishna- Balarama. Atula Krishna Prabhu responded, “Yes, They are giving darsana.” Brahmananda Prabhu had tears in his eyes when he said, “You are very fortunate. I can only see Srila Prabhupada.” It comes as no surprise that the book Swamiji tells of his relationship with Srila Prabhupada and his devotion to Srila Prabhupada. Both Brahmananda Prabhu and his brother, Gargamuni Prabhu, have been residents of Vrindavan Dhama for the past fifteen years. 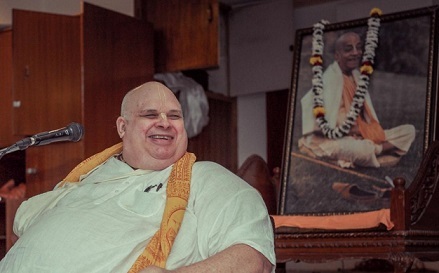 So when a suggestion was made to Brahmananda Prabhu on the evening of June 6 that he go to Delhi to undergo medical tests, he was extremely reluctant to the idea of leaving Vrindavan. And on the June 7, 2015, on the auspicious day of Srila Vakresvara Pandita’s appearance, Lord Krishna fulfilled his desire. Brahmananda Prabhu left his body in Vrindavan, but he never left Vrindavan Dhama. Brahmananda’s legacy will ceaselessly endure in his absence. Vaisnavas’ departure arouses mixed feelings of harsa and soka, feelings of sorrow and joy. Yes, we feel real sorrow that our big brother has left our association. We are mourning the loss of the ISKCON legend, while at the same time rejoicing that “Prabhupada’s endeared son” is surely back with his beloved father now.